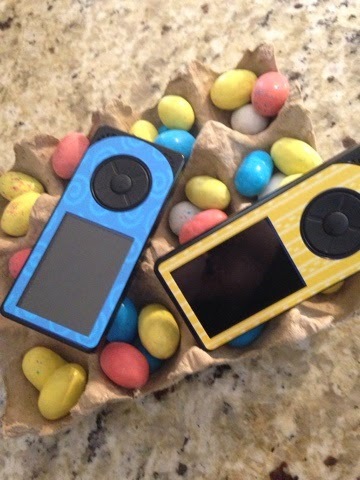 With the arrival of the Dexcom Share, and the resulting matching set of device colors in our household (because the Naturally Sweet Sisters tend to choose the same colors even when I ask them independently from one another - how are they not twins????) we decided to move beyond the basic color to personalize and jazz up the style a bit more with skins. Heading to the PumpPeelz website, I selected four options. Prices vary but it was nice to see a few on sale for as little as $3.00 each. Shipping is not included and that was an additional amount. The application of the PumpPeelz was fast and simple. Since our Dexcom Share receivers were brand new, there was very little prep work. If we had applied the skins to our older pink receivers, I would have wiped down with an alcohol swab to remove any oils or debris, let dry and then applied the skins to ensure a secure adherence. 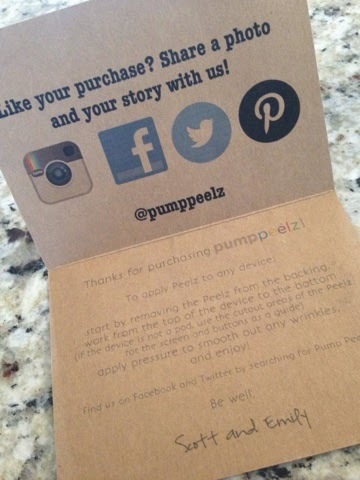 Upon opening the PumpPeelz, our youngest daughter chose first and selected the blue swirl design. Her sister than picked the cheery yellow. We saved the other two for a later date. Hopefully the skins will last as long as the Medtronic Pump skins - which for our family, was 6 months plus. In fact, oldest daughter was ready for a change long before the skin needed one. If ordering skins is not your thing, you may also want to consider making your own design through duct tape, washi tape or even by adding stickers of your own. 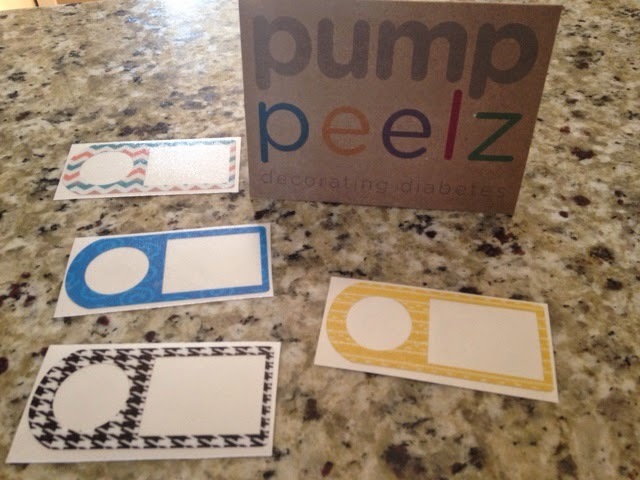 One friend explained how they cut into vinyl laptop stickers to repurpose into a Dexcom skin of their own. Just trace your pattern from the top of your Dexcom and use an exacto knife on a safe surface to cut your laptop skin to ensure a perfect fit. Whatever you choose, we hope you enjoy your new look! Sometimes I write a bit tongue in cheek. Unfortunately, I forget that not everyone reading literature, reads in this manner. In fact, there is a tremendous amount of people that interpret words exactly as they appear - the lovable literalistic audience. 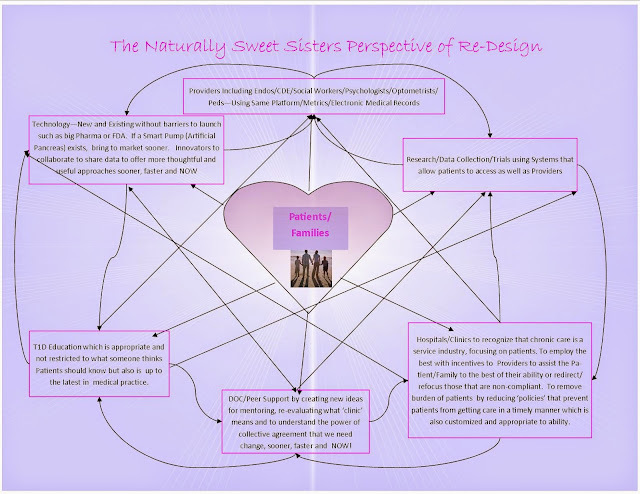 I know I have a few of these readers but I also realize that if you are searching for specific research content, reading about the antics of the Naturally Sweet Sisters is not going to able to hold attention for very long. In fact, when we write about a 'box opening' or a picture riddled piece on new medical equipment, this portion of the audience comes back in a fury of clicks to spike my daily views. I enjoy both groups tremendously and I feel like together, we are a passionate team of patients and parents with T1d. Since it is fantastic to engage both styles of readers, (which truly neither is better than the other) I wanted to intentionally clarify my own brand of imaginative and figurative writing style. Like I have said a million times, I write from the heart. Most of all, I write for my children. This is an effort to speak to people within and outside of the DOC community to #makechange and #curet1d. As you may know, I also work outside of #natsweetsisters to advocate in the community and across the nation as a patient-family advocate. One of my larger endeavors is through the #C3N network. As we head into a second #MakeHealth meeting, our focus is now to create specific goals to work towards for improving our patient-centered focus. I feel blessed and grateful to be a part of this group. When I originally wrote about our first meeting, my intent was to profusely thank the wonderful people that agreed to collaborate to work towards our clinic improvement. Unfortunately, I omitted my own abilities and in fact, downplayed the level to which I fit and belong in such a group. I never quite feel the need to 'toot my own horn' and share why my experience, including the assortment of scholastic endeavors which qualifies me to be part of a collective group of 'brainiacs'. It seems a bit ridiculous at this point in my adult life. However, there comes a time when even my relaxed level of tolerance is maxed. For me, it occured after yet another moment wherein I was being patronized for having a lack of creditionals beyond M.O.M.. In fact, the first words spoken were 'you are the only one without a PHd'. As a parent of two children with Type 1 Diabetes, I am the foremost authority on what is happening within our Type 1 Diabetes landscape. I have delved into far more research papers, interviews, forums and studies than most anyone outside of T1D. I have two patients that reside with me 24 hours a day, seven days a week and on occasion, I open my 'clinic' doors to even more. I have become not only their doctor, nurse, therapist, counselor, clinician, researcher, teacher and even ad-hoc designer. Throughout the decade, I have primarily done this for free with no payment for extensive insurance bills, lost work wages or overtime through missing vacation, sleep and sick days - while also working as a BCBS analyzer, tax accountant and freelance insurance fighter. I write this blog as not only a loving parent, but as a spokesperson for patients around the world. I freely volunteer time through social and fundraising groups such as ADA, JDRF and DYS. Throughout my spare time, I have created much needed improvements in teen T1d care and CDE and nursing. I tend to be a first user of new technology and am more than happy to investigate technological improvements where ever possible. There isn't an acronym that I am not familiar with. My line of industry contacts grows daily and I reach through instagram, facebook, google and twitter. In every sense of the word, I deserve the title of 'brainiac' or even PHd - not because a university decreed it but because I have passionately lived, studied and breathed the improvement of T1D from the moment my first child was diagnosed. I write this not just on my behalf, but for every single patient-family out there that is doing the exact same things. We may not be the most vocal of people in discussing pedigree, but I guarantee that we are the most deserving. As we go forward, I hope that answers any lingering doubt but if not, let's have a conversation. In the meantime, I will be working on improvements. And thank you for all that are involved with #C3N - this mom still can't thank you enough. It has been a whirlwind past few days. Somehow, I was lucky enough to be included with a group of remarkable Brainiacs - and I say this with great admiration as the list of credentials include Brown, MIT, Stanford, GLU, T1DExchange, TidePool, University of Cincinnati, University of Michigan and many more- that are vowing to change the change the way we view clinical care for families, providers (doctors, nurses, techs) and systems (research, data collections and data execution). 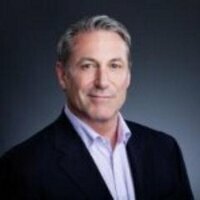 whom worked on ImproveCareNow with two major projects of improving health care for patients with Inflammatory Bowel Disease/Chrohn's and Cystic Fibrosis. This kind of health network means we all work together – care providers, researchers, patients and families – using scientific data to drive improvements for kids with Crohn’s disease and ulcerative colitis. We analyze results from thousands of doctor/patient visits and review the latest studies and treatments worldwide. As we all share this information, we continue to improve care for all patients. As the project idea started to slowly form, another key to unlocking the need for change was the needed resources procured by Dana Ball, founder of the T1DExchange. Dana has worked as a 30-year veteran patient advocate for T1D as well as serving with the Helmsley Charitable Trust for T1D and establishing the T1D Exchange and GLU.org (if you haven't signed up, please do so.). The T1D Exchange is a system used to connect shareholders within the T1D Community such as patients, providers, caregivers, clinicians, researchers and medical corporations. GLU is used as a way to obtain data to share to the above in hopes of improving care and fulfilling needs - throughout the T1D landscape. It is big and it is full of the information that can make our system design improved. And the list went on and on of amazing attendees. I met patients, doctors, CDEs, researchers, data analysts, systems designers, doctors, patient advocats, and so many more. Most notably in our own familiar T1D world, a few favorite celebrities of the Diabetes Online Community (DOC) bloggers Kerri Sparling, T1D adult from SixUntilMe.com, whom just wrote the book Balancing Diabetes and Bennett Dunlap, parent of four, two with T1D from YDMV.net and the wonderful story teller of Smash Your Meter. Entering the conference room on that first day was full of 'WOW'. Clearly, this was a group that was assembled to get things moving. So why was I there? Yes, if you are thinking this, well, so was I! I was there because the assembled T1D Designers wanted to know even more about the families at the core of the project and they wanted to learn first hand from all of us! Pause and let that sink in, people! We are being heard!!!!!!! As a side note, you can be heard too... scroll to the bottom and pick up the hashtag to keep the conversation going on Twitter. Patients/Families were instructed on the understanding that we were the T1d Experts while the Design Team - all the marvelous others in the room - were to listen, have empathy and start the journey of learning through what it is like in 'our' patient world of T1D. Together, our group of 50ish (plus or minus a few) team members quickly jumped into the first task of understanding our most critical need as patients/families living with T1d. Well, as you all know, that would be living with T1d. Right?! That pretty much sums it up. We want a freaking cure! Sigh. Breathing deeply right now, because no matter how many times it is discussed, I still want to move this train onto those cure tracks.... which might be fun as we could drive it over the diabetes monster! Since clearly, we are still living with T1d, as patients and families, we have to work with what we have NOW. Just as I was bravely to voice what I wanted to my table of intellects, it suddenly occurred to me by observing the faces around me, that most all had no idea of what we went through to actually get to the point of ranting about a cure or driving a train off the tracks. Before addressing what I wanted, it seemed only appropriate to explain why I wanted it. Pausing for only a moment, I slowly explained the story of youngest daughter's diagnosis. Some of the details are still hard to share, such as how she was so weak, that she rode around in a little red wagon for the first three days with the IV pole attached to a make-shift mobile pole. Or how the IV line could not be inserted as her veins were so small from the massive dehydration that she had suffered from not getting her diagnosis until, well, the reality is that it was almost too late. After explaining the first diagnosis, I went into the story of our oldest daughter's diagnosis. 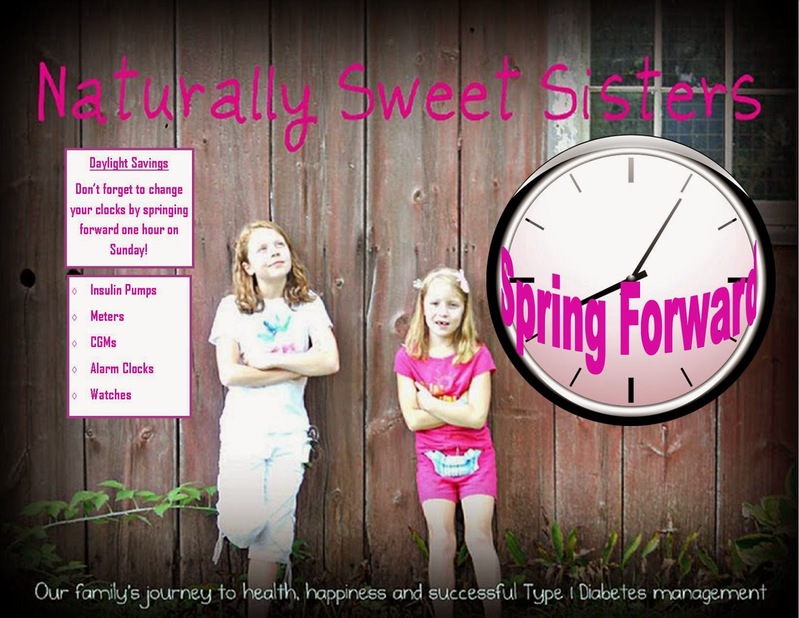 Mouths dropped open because having only one child with Type 1 Diabetes was expected. Two? More than enough reason of why it was important to improve care. Still I continued the 2nd dx story and shared how oldest daughter was diagnosed early through her own verbalization of symptoms - but also explaining how the flawed healthcare system had me lying about which patient needed care when I called into the clinic for help. Even worse, how I had learned to fight through the hospital bureaucracy to get what I needed which was an out-patient OGTT, pre-diabetes care at home and an insulin pump. When I finished, the table was silent. The story hit home. Our family is representative of millions of other families. To be exact, 35 million families worldwide. Closer to home, about 2 million families. As I write these statistics, I can't help to again focus on a cure. It's what we need. However, the compelling answer was still waiting and that was for the question of what I wanted while we still live with T1d. For me, it is simply an overhaul of our current system that begins to focus on patients and families. Before I left to head to this conference, I asked the Naturally Sweet Sisters readers what they wanted too. Quick Question About Medical Care.... What is the one thing (or more if you have a lot!) that you wish would/could happen during your A1c appointment in hopes of making your visit go smoother? Please reply below. From Laura, " It gets a little boring. Same general thing over and over. Two teens transitioning care. "Doing great. You could work on this." "OK we'll do that." Real-life teen life happens. Repeat every three months. It would be great if they could have all the logs downloaded and printed out before our appt." 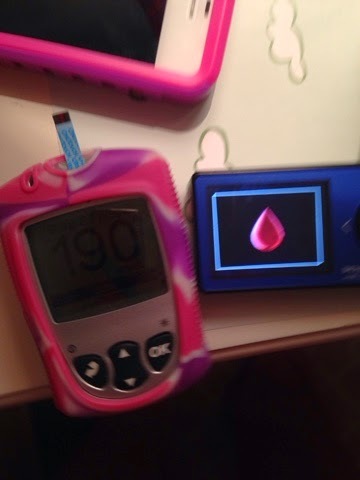 From Ambermarie, " Just wish all endos would reassure patients that it's okay to have one bad a1c or that high or low bg. I had one endo that always made me feel like my type 1 was my fault and that I wasn't trying hard enough or that I was just not caring or taking care of myself no matter how hard I tried." From ANON, " Type 1 is confusing and draining. I don't know who to call and I can't seem to get help when I need it. My daughter is falling apart and I am not sure where to go for support. What do you think I should do?" And just like my diagnosis story, the comments from Naturally Sweet Sisters community are also the same as millions of others. Through changing our current system into something that allows the interaction of multiple sources and by focusing on patients/families, we can get to a place where waiting for a cure is not just like being stuck in an elevator listening to bad musak. Imagine John Tesh on replay for the rest of your live. Yes, you would seek change too. As the meeting continued, we started to find several common themes. Here is a great representation of what I hope I left with the team. Thinking about What Do Patients Need after leaving the conference. Notice the lines traveling from area to area in a spiderweb? Notice that the center is clearly marked as Patients/Families? Those are the two most important things to remember as the system begins redesign. 2.) All points intersect back to what Patients and Families WANT. With this, we begin to see a clearer picture of designing a system around the needs of patients and families. In other words, a system that allows the patient to acquire the level of care that they need, when they need it. Should be a simple fix, right? Yes, I say that with a grin. I know there are mountains to move before it can happen. But as Dr. Margolis said just when the conference ended, "We aren't going to forget what is most important when you leave today. This isn't going to stop here. I promise you that we will keep working on it. We know it is THAT important." 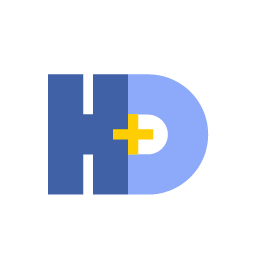 Want to help design the new T1D Health Care System? Follow along with C3N on Twitter @C3NProject and #MakeHealth #PatientsAsDesigners with ideas that you have to see a patient designed health care system. 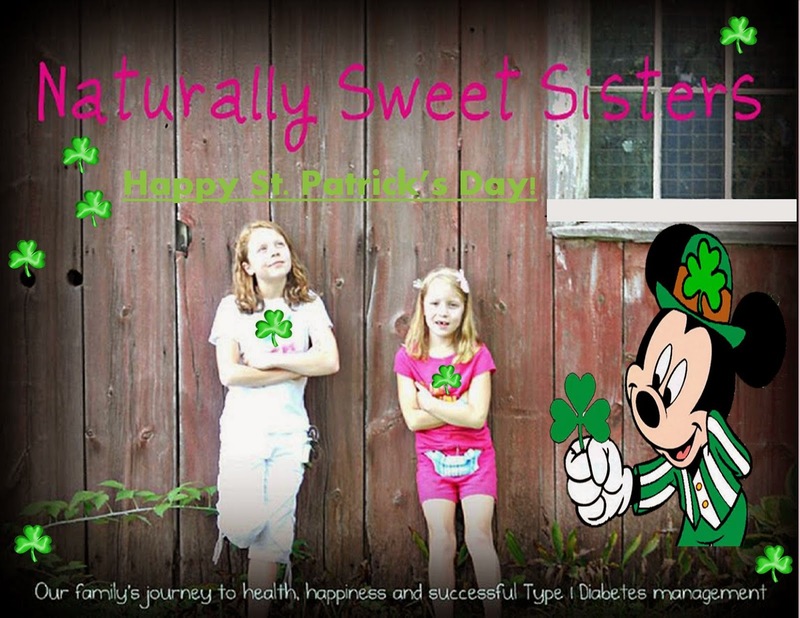 Be sure to give a shout-out to Amy @natsweetsisters and say hello! A Printable Reminder Of How Awesome You Really Are! What an important reminder for all of us living with T1d, especially when it comes to numbers like A1c or blood glucose. We want you to know that no matter what you see on your meter or hear in your clinic, you are doing a great job with a difficult pancreas. Oldest daughter: A new one for you, mom. I am at school, testing my blood sugar and a boy leans over to ask me what I am doing with my USB. I told him I was testing my blood sugar. Then I watch him dig into his laptop bag to pull out a memory stick. He said, "Hey, I didn't know these things could test blood sugar!" Since our first diagnosis, I have checked blood sugars on many, many finger tips. 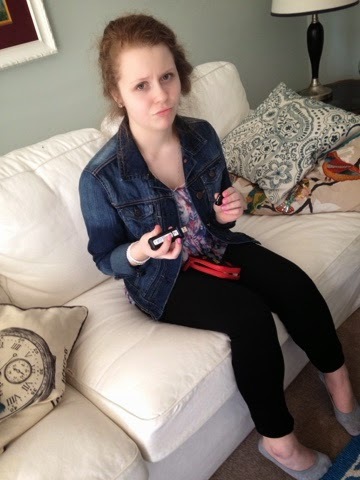 For a while, it was almost like a party game of 'where do you think your blood sugar is at' - that is until we stumbled across one situation where a child had elevated blood sugars. The new rule is that parents must be present to participate! There have also been times where I have been asked to assist with injections, both for diabetes (new patients and patients that wanted to try an injection in a hard-to-reach area) and non-diabetes related medical procedures (I had a friend that needed fertility injections and asked that I help until she felt more comfortable). For the second time, I was asked to do a CGM start-up insertion on a child that wasn't mine. Someone trusts you enough that they are willing to let you care for their child in the most of delicate ways. It's not exactly like a finger poke or even a syringe or pen injection. There is a layer of emotion wrapped around the idea of getting a CGM site. Partly because it is new and unfamiliar and also because it looks as scary as can be - no one wants a two inch needle to be injected into their delicate tissue. That just seems WRONG. Since raising my girls through many years of T1d pokes, prods and pinches - because this is the way T1d is treated - my level of sensitivity to those feelings is continuously set to high. I know without being told that it's a huge honor to be asked to help and that my job is to create a learning atmosphere that is surrounded with compassion and empathy. Because when you examine the situation, it's a full-blown testament of a parent's trust in your ability to perform T1d care in a way that will potentially help a child achieve healthy and safe blood sugar numbers, while simultaneously, fostering a postive attitude towards long term T1D self-management. After we were done and as my little friend left, his arms full of new fun items like a bottle of silly string and T1d storage bag, he smiled and waved at me - a sure sign that it went well and a wonderful look ahead to his future. He's got this! 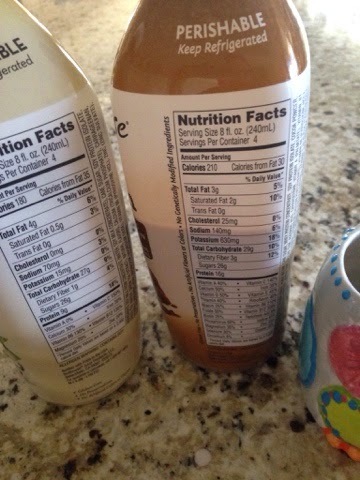 Last week I mentioned that oldest daughter needed a boost in protein during her morning breakfast. After receiving our Share, it immediately became clear that her a.m. blood glucose hovered on "normal lower" (90 mg/dl) and trickled into "uncomfortable lower" (70mg/dl). Even though she is older and can easily pop a carb filled snack into her mouth or suspend her insulin, it's not a position that I want her to be in. At school, there are just too many risk factors... fire drill, substitute teacher, distraction from 'feeling' the lower or even forgetting to restock her purse with glucose. To help solve the situation, we asked our resident expert - which is oldest daughter - what she liked to eat for breakfast. She gave us two requirements; it had to be simple to make and it had to be Chai Tea. She further explained that since her lunch was at 10:30 a.m., she rarely felt hungry enough to eat before she went to school. The Chai Tea was portable and something she could drink in the car through first period. My third period, she was off to the cafeteria, where she happily ate a well-rounded meal. Understanding her dilemma, we agreed to review alternatives, specifically foods or drinks that offered a solid dose of protein. And look at what we immediately found! 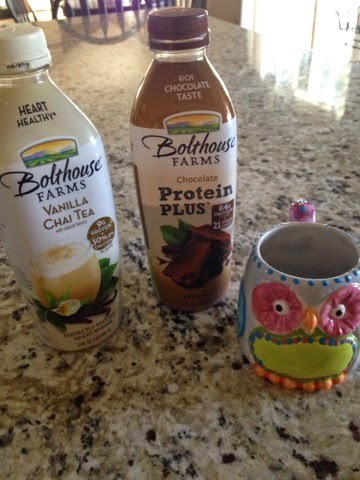 Bolthouse Farms Vanilla Chai Tea (180 calories) and a Chocolate "Milk" (210 calories) made from soy, are each gluten free and loaded with 9 grams of Protein per 8 ounce serving. And the best part? It tastes great! This is actually our second purchase as the first was immediately shared by all four of us. Oldest daughter and I prefer the spices in the Chai while the Naturally Sweet Dad and youngest daughter love the chocolate flavor. At $4.99 at our local Target and $5.49 at Busch's, this isn't exactly cheap. However, the vast improvement on blood sugars was immediate and we were able to continue a simplified morning routine for oldest daughter. At this age, a happy #TeenT1d is WIN WIN! I am not sure if you are tired of our Dexcom Platinum G4 Share posts, but I have an additional tidbit to share. Yes, that's it. Probably anticlimactic, as everyone knows that CGMs need to be calibrated. 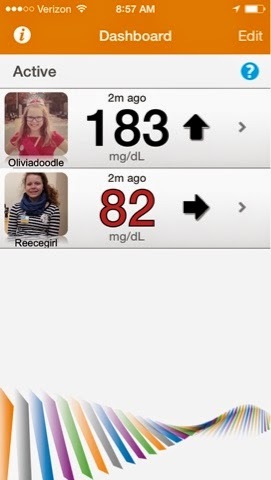 Medtronic Enlite recommends a solid four times per day and Dexcom requires two. It's clearly instructed in each product's owners manual for maintaining accurate blood sugar readings. However, I am raising older girls. While they have been taught to do this, life often distracts them from the exact 12 hour blood sugar data requirement on their Dexcom. For status readings on a receiver, it's no big deal. 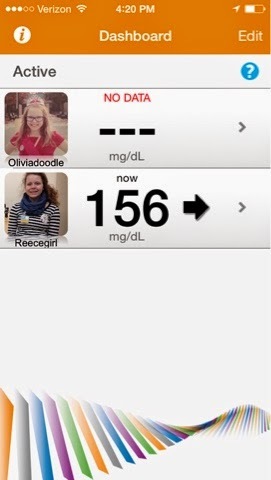 Dexcom simply places a red blood droplet reminder on the home screen while continuing to record blood sugar readings in the background. 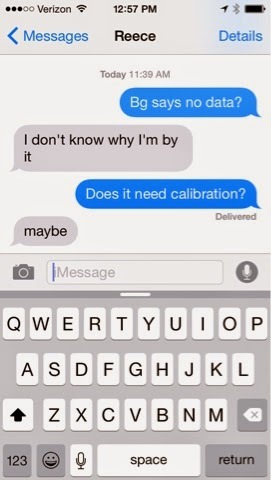 Using the Share App, if calibration doesn't occur, a NO DATA message appears. Literally, no data can be tracked. Kinda giant pain for all of us. It's an adjustment for both of my girls to remember to input that blood sugar reading as soon as it is requested. The girls feel a bit negative as to them, it is an annoying extra step in T1d care. They don't like having to spend more time than necessary on managing their T1d. A brighter view is that by performing a calibration as soon as they can, their blood sugars are apt to be better controlled through having the most current data on the receiver and on the App. We officially have one full day of #CGMInTheCloud under our belts. As a family of four users with two parental "Followers" and two teen "Sharers", we mutually agreed it was fantastic! Oldest daughter enjoyed her downplayed status of just 'checking' her iPhone while youngest daughter embraced it as a chance to share during an informal show and tell with teachers and classmates. One grumpy text came through from oldest daughter as I politely asked for her to eat a snack. We talked about it and I have a feeling we will talk about it as we go on. I am NOT going to overshadow her desire for freedom but the truth is, sometimes it is safer. We will find a balance and the good view is that we are each open with our needs. That is half of the battle. As a family, we also agreed that we need to make a few additional changes within each of their pump settings. While we frequently download insulin pump data, we rarely extract CGM numbers. The rainbow mess of zig-zags can be difficult to decipher and slightly deceiving. A smaller, shorter spike is not necessarily a reason to change as it could be simply a recalibration point. In some cases, a spike occurs due to forgetting to pre-bolus, which again, is not cause for alarm. There are also the times that CGM reflects what is naturally happening within our child; excitement, sadness, happiness or mad at parents! Nah, that never happens, right? In today's cloud observation, it was immediately clear that we had missed the mark on an I:C ratio for breakfast. After our youngest daughter came home from school in the afternoon, it was discovered her steep breakfast increase had somehow changed to 9:30 am instead of 7:30 am. Youngest daughter thought she might have fat-fingered the time on Sunday while she was looking for the setting to change day-light savings time. Understandable and because of our sharp eyes on the #CGMInTheCloud, we fixed the issue before it built up. The second situation was also one that occurred at school. Oldest daughter negotiated a lighter breakfast to include only milk with chai tea. Her junior high lunch hour is at 10:40 am, a time when many people are still digesting breakfast. We agreed that a light breakfast was fine, followed by her early lunch. Our only stipulation was that an early afternoon snack had to be added. Immediately upon entering school, oldest daughter was on the lower side of BG. We opted to slightly adjust her basal rate and asked that she add in a small bit of protein to her meal. Asking around the DOC, we found a few suggestions, one of which was to try a pre-package Chai drink that had 14 grams of protein. After school, we went to our grocery store and picked it up. Bonus? She loved it and agreed to try it tomorrow. To illustrate our new discoveries, here is our 24-hour day in pictures. Monday Night at 11:16 p.m. - It works!!! Tuesday When Everyone Else Is Sleeping at 12:31 a.m. - One kid is immediately inducted into the 100 mg/dl club!!! Tuesday Morning's Recovery from a Low and Watching a High on Tuesday Morning at 8:57 a.m. - Oh man. 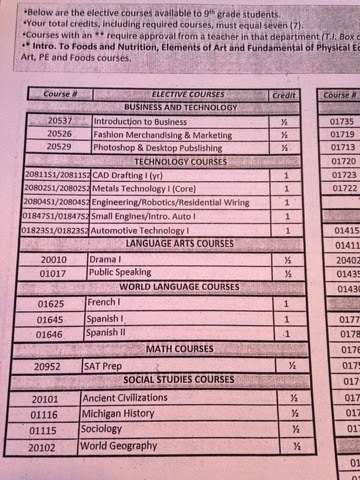 Need some changes. Forgot to capture the earlier picture of oldest daughter at 70 mg/dl and arriving at school with Chai Latte. Thinking this little bit of carbs is not going to hold her. Sigh. 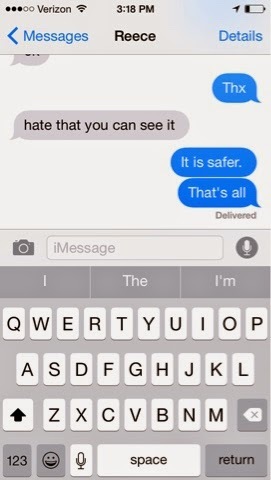 Tuesday LunchTime For Oldest at 10:29 a.m. - Oldest daughter heads to lunch and I resist the urge to text. Meanwhile, staring at the 298 mg/dl and wondering why... morning ritual is to wake youngest daughter, check her blood sugar while she lays in bed and pre-bolus before her feet touch the carpet. Makes no sense at all. Sitting on my hands and hoping she gets to the correction. Lunchtime for Youngest Daughter Tuesday Morning at 11:30 a.m. - Youngest daughter heading off to lunch shortly and I know she will make the correction simply because this is the first time that I have witnessed a high like this. By the time she comes home from school, numbers are perfect again. Tuesday Afternoon at 1:48 - Youngest daughter disappears from the radar. Suspecting that she didn't have a full charge on her iPhone before she went to school. In my excitement, forgot to move charger into her bedroom. Old rule was cell phones not allowed in rooms at night. New rule is cell phones allowed in room at night so mom and dad can see their follower app. Parenting mind melt... now to hope neither girl fools around on phone late at night. Tuesday Afterschool for Oldest Daughter and resulting text from number dropping into 70s at 3:18 p.m. - She's a bit grumpy because I text during her afterschool yearbook club which is also a social hour. I get it; #TeenT1d. We discuss boundaries later and apply a few rules to the situation. Mom won't text as long as number starts to go back up within 30 minutes. Daughter won't wait to eat or reduce basal rate to avoid mom from texting. Seems like a fair trade. Afterschool for Youngest Daughter on Tuesday at 4:20 p.m. - Yes, my phone died. Tuesday night, post dinner at 7:07 p.m. - Both girls working on homework and no one wants to talk about T1d. All earlier blood glucose settings changes have been entered into their insulin pumps. I discreetly check and love the numbers. Silently high five myself. Check back again tomorrow as we further review our Dexcom Share and provide insight on a multi-user family! On Friday, through the awesome help of a triage of people - Jeff from Solara, Melissa and Simon from Dexcom and ofcourse, the lovely fast transport of FedEx, the Naturally Sweet Sisters upgraded their Dexcom Platinum G4 receivers with the brand new, Dexcom Share enhanced receivers that work with a wireless bluetooth connection that is enabled to send data to an iPhone uploader. For the unboxing, the girls wanted to take the lead and share their experience with our Naturally Sweet Sisters readers. I prompted a bit but for the most part, this is their point of view. Part 1 is first and the video is just about 3 minutes long. Part 2 is after their 2-hr calibration, a must-do when setting up the new receiver. A reader did ask me if we received a brand-new transmitter. The short answer is no. This shipment includes the receiver and a brand-new charger. We will keep you posted as to the girl's individual experiences as they try out the new technology. If you would like to order your own Dexcom G4 Share, please head over to the Dexcom website. Stay tuned for Part 3 - A Week Of Share at School! This is a Naturally Sweet Sisters repost from 2013. My feelings from the patient - caregiver perspective regarding the A1c hasn't changed since I wrote this article. If anything, the new ADA guidelines requiring pediatric patients to adhere to astonishingly low values of 7.5 or less, has further underscored the need to use a different metric to measure patient compliance/success. As a mom that diligently monitored blood glucose in toddlers (without an accurate CGM) through teens (with an accurate CGM), I can testify hormones can/will thwart even the most carefully laid out T1d plans. In the year since this article was written, without modifying her lifestyle, our oldest daughter's A1c has decreased to 7.2. The difference? She acheived what is most likely her adult height and her hormones have stabilized. Conversely, my youngest daughter, just two years behind her sister in entering the peak of puberty, hormones are surging and over the past six months, she has grown about 4-5 inches, to match her sister's stature. Her A1c is 7.8 and while we will attempt to combat it with multiple (and aggressive) pump setting changes, it will most likely increase a bit more before leveling off. Unfortunately through that narrow clinical perspective of an A1c score, the true success is missed. My girls have missed zero days of school due to T1d, they stayed healthy through out the winter, in our 8 long years of T1d, they have never been through the ER and even more importantly, they haven't missed out on doing anything they wanted to do... which has included sleepovers, theater performances, field trips, concerts, movie nights with friends and even dances where mom did not have to chaperone. 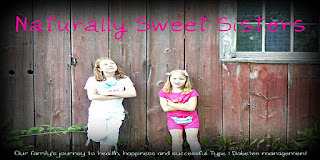 A slightly higher A1c is exchange for a mentally healthy and well-balanced child is a risk that I am willing to take. As a parent who is leery of over emphasizing the A1c (good or bad), I thought it might be interesting for you to know where my own two daughters fall into the scale of quarterly numbers. Before I do, I want to clarify a few things. As we all know, this is a variable number which is subject to change and does NOT account for much of LIFE. I want to demystify the idea that raising kids with type 1 diabetes should mean that we are "regulated" and have numbers in the low 6's. There is no such thing as regulating a pancreas in a person living with type 1 diabetes. Especially when that person is living in their own body (not yours) and is growing at the rate of 1-2 inches (sometimes even more) and gaining at least 1-2 pounds every three months. Dare I even mention the P-word? Oh my! And did I explain that person is a child who is often being invited to birthday parties, holiday festivals and taste-testing their way through Costco? Heck, even the car wash dude passes out two lollipops to her just because she is cute? You don't think she throws those away, do you? If you think those are excuses, well they aren't. But they are good examples of raising our kids with the idea of "kids first, diabetes second". That "kids first, diabetes second" is a very important part of raising healthy minded (and bodied) children. What we risk by strictly counting calories, limiting choices or creating the idea that food is BAD, is instead, raising a child who might choose to sneak food, have poor self-esteem and make uneducated choices in their own diabetes care as adults. What we don't want to do is create "adults depressed, diabetes distressed." We, as parents, want to create a healthy environment that teaches children to listen to their bodies, take care of it through good nutrition and lots of exercise - all while enjoying an occasional treat AND counting carbohydrates AND dosing insulin. Well, than if you understand these nuances of life and are now sitting there and wondering if your child's A1c is good enough? I am here to tell you that it is. What you are striving for is to connect with your child, foster an environment of caring, nurturing, teaching to continually educate you and your loved one living with type 1 diabetes. Around here, we use the A1c as a guide to help remind us where we are headed and what we would like to try to do differently. Perhaps it is focusing on bolusing 15 minutes before eating dinner. Maybe it is to make sure our tween is entering her blood sugars (all of her blood sugars) back into the pump, so we have a better focus of what is happening. Or perhaps, we are even seeing an A1c that is suspiciously too low and maybe we want to try to wear a CGM for the first time to catch some hidden blood sugars. Whatever it is you use to do with the information, the A1c is simply a moving target to help remind you to take action in your own diabetic care. I always find it sad to hear one parent bragging up an A1c or talking down another. It makes me wonder how their endocrinologist is teaching the family too. Do they get a positive praise for only so-called good A1c's and sharply reprimanded for bad ones? An A1c is what it is and you can guarantee that it will change several times (probably too many to count) during the time we have until a CURE. Until then, if you see someone struggling or wondering if the have a good enough A1c, give them a hug and remind them of all the work and love that they put into their child's care. And yes, it is most definitely good enough! Oldest daughter and I visited a high school this morning. The appointment was pre-arranged so she could meet with her newly assigned academic counselor and begin the process of registering for fall classes. The counselor looked thoughtfully at oldest daughter and asked, "Before we begin, what do you hope to do upon graduation?" Oldest daughter smiled back and said, "I have decided that I want to pursue a career in medicine." The two worked together to create a plan that offered layers of math and science with discussion of elective opportunities through a medical off-campus program. When we left, oldest with her hands full of resource materials, college brochures and scholarship opportunities, she simply beamed and said, "This is exactly why I was diagnosed. I am going to do this. I am going to help kids. This is my opportunity!" Again, I think to the importance of surrounding her with a team full of role models, mentors, leaders... In just a few short days, she has felt the effects of powerful interactions with adults that want her to succeed. With the right team cheering you on, anything is possible. Maybe this is the number one reason patient-centered clinical care is so important.